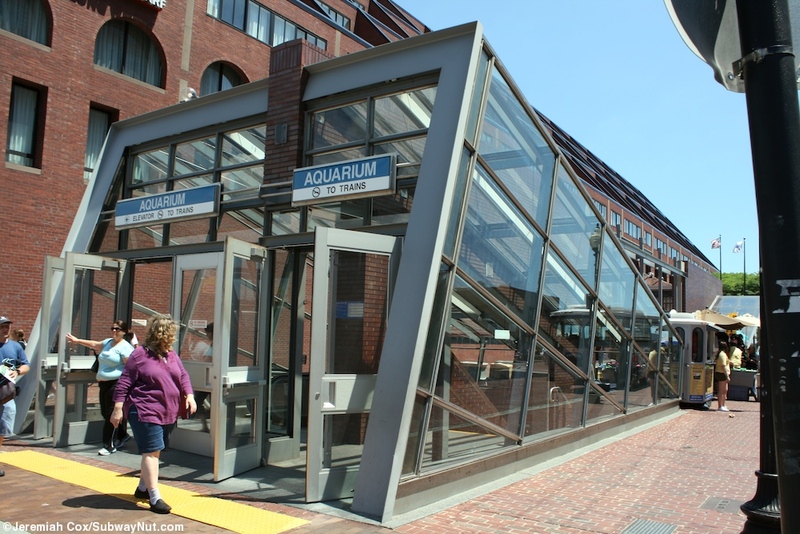 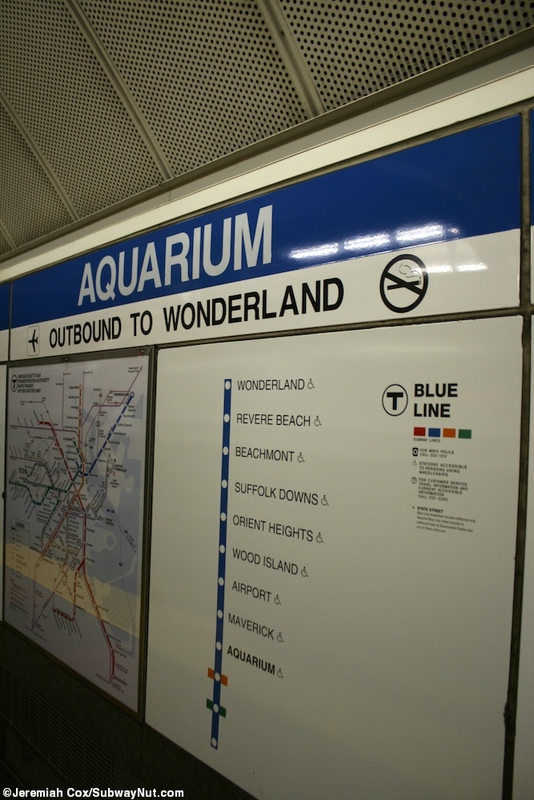 Aquarium is an underground Blue Line station recently renovated with two narrow side platforms that feel extremely open due to the non-existence of columns in the station with silvery walls. 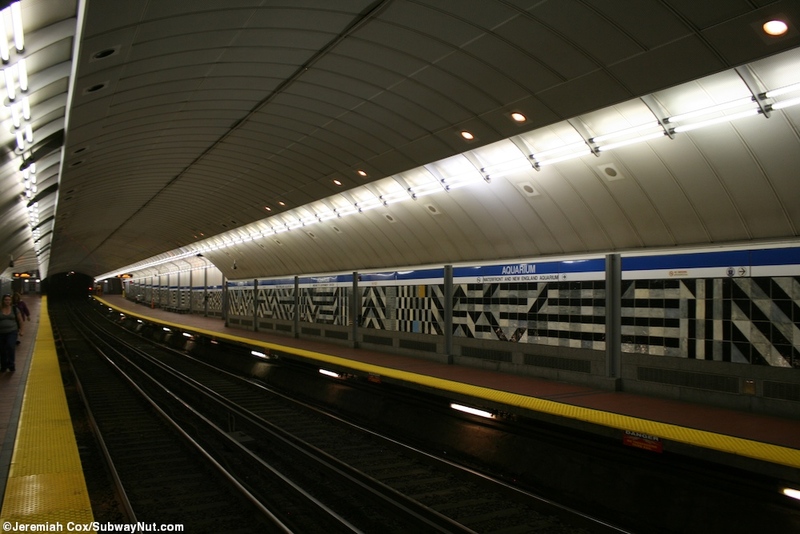 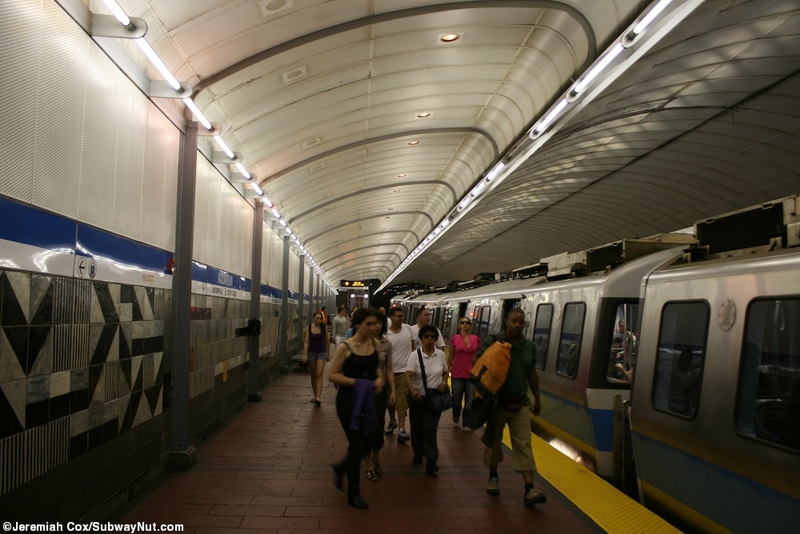 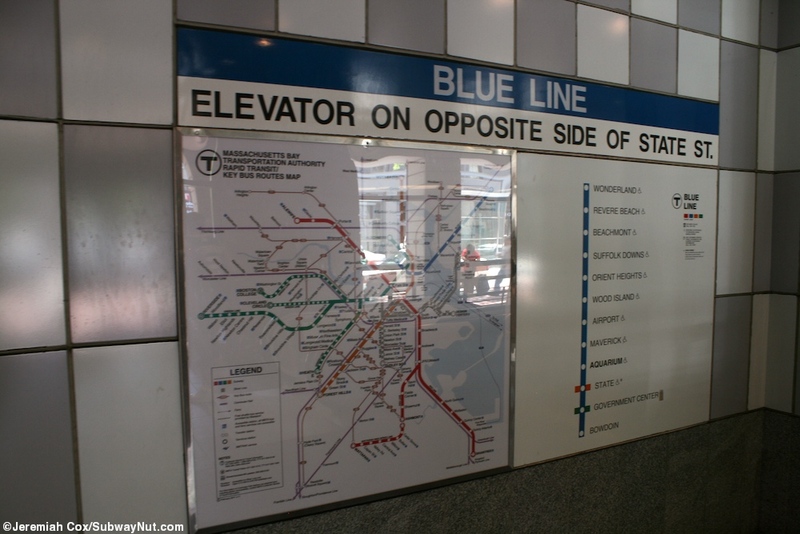 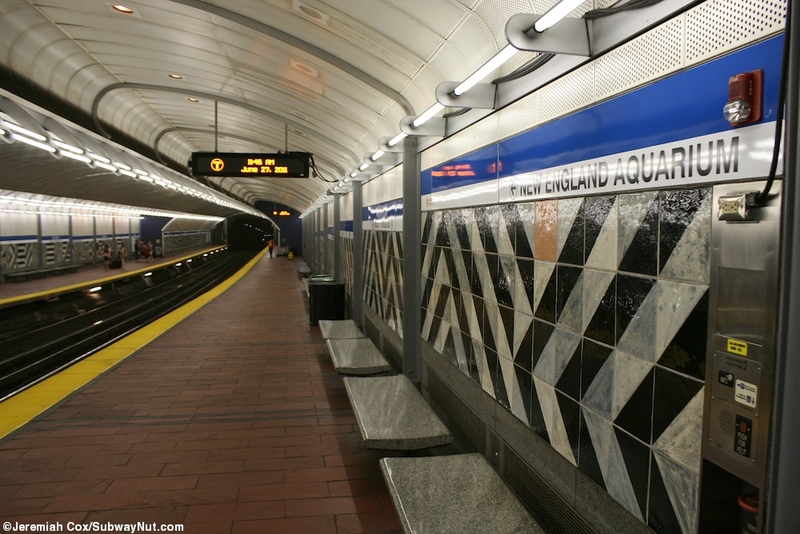 There are decorative tiles with black and white stripes along the walls, beneath the standard blue and white trimline with stations name on them as all T stations have. 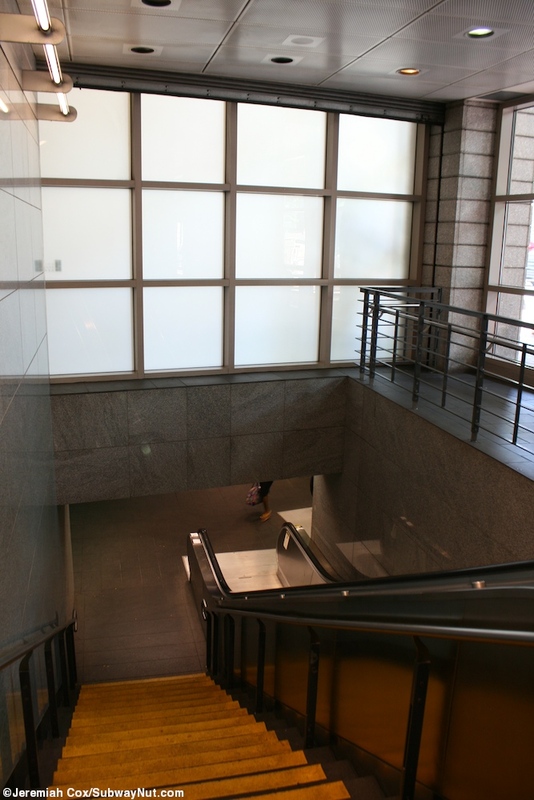 There are granite benches to add to this silvery decor. 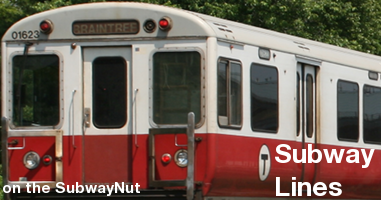 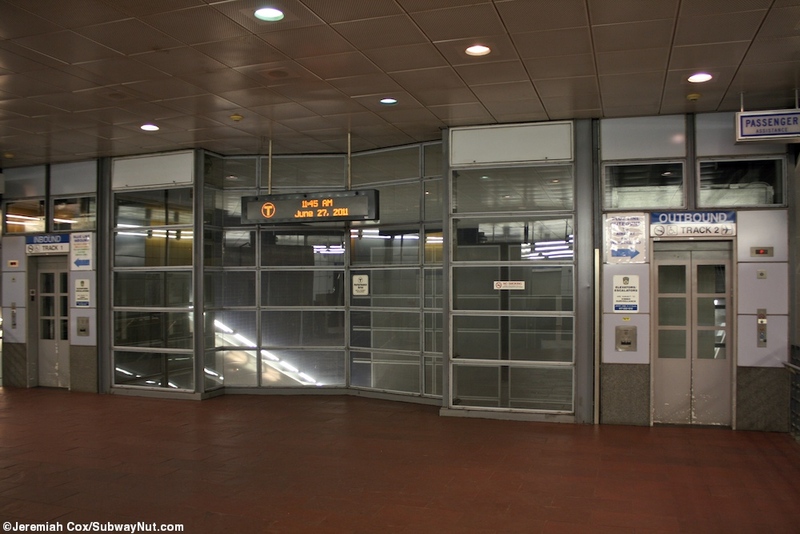 The station has two exits, at either end of the platforms. 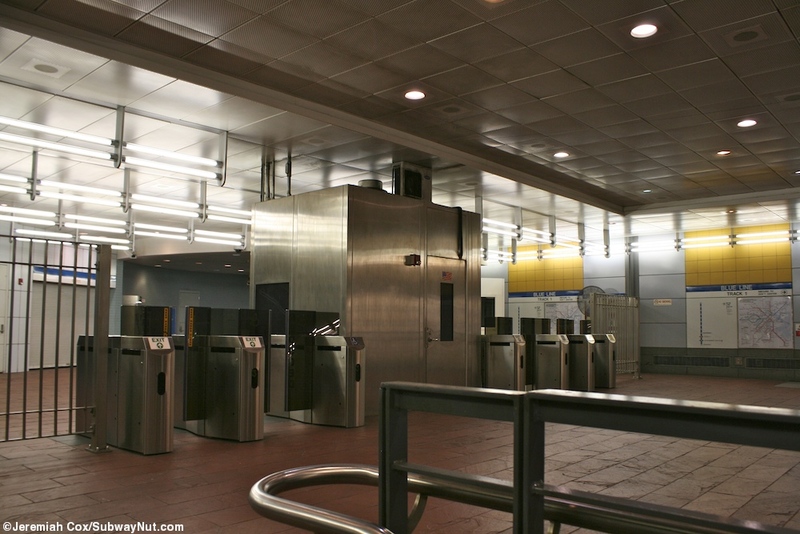 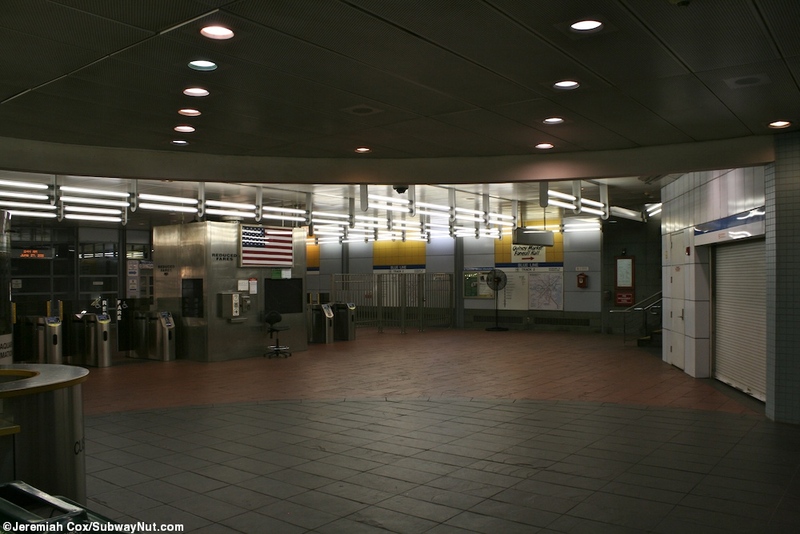 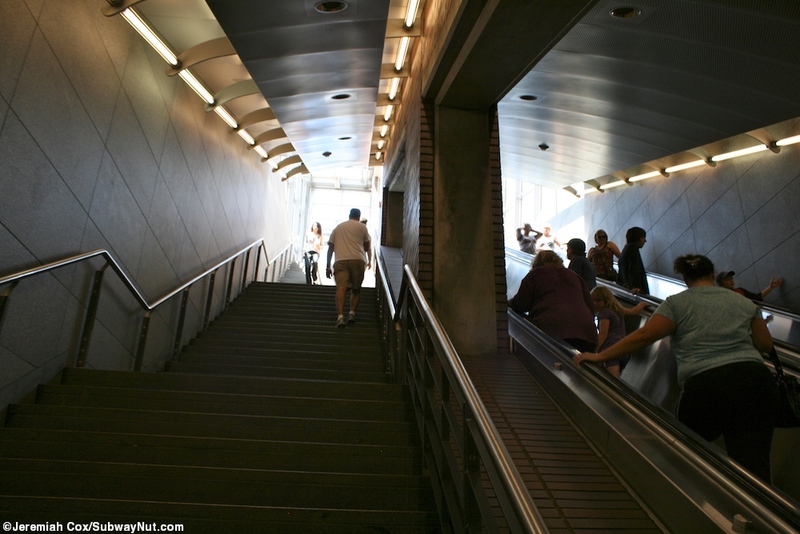 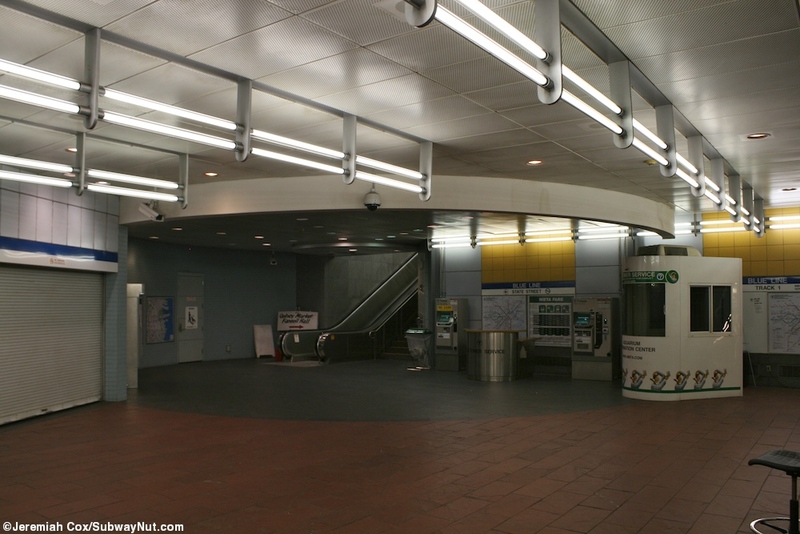 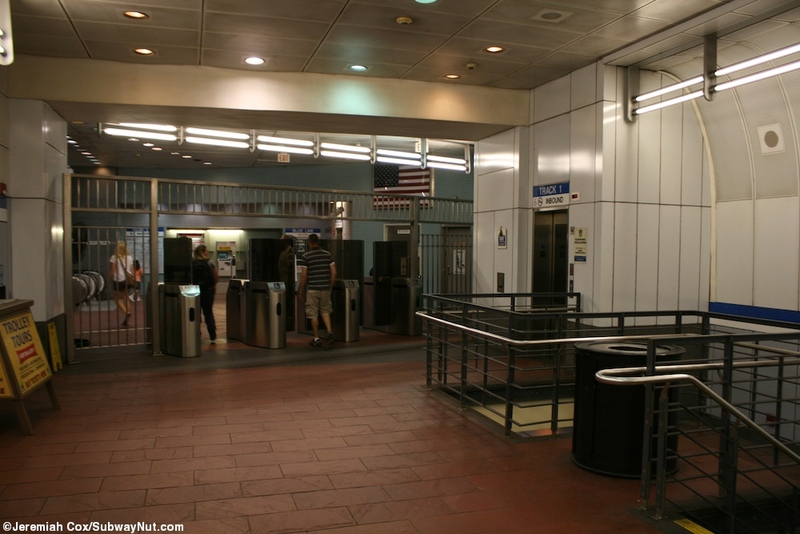 At the outbound-end of the platforms two staircases and platform elevators lead up to an intermediate mezzanine where faregates lead out to escalators, stairs and an elevator up to the Long Warf. 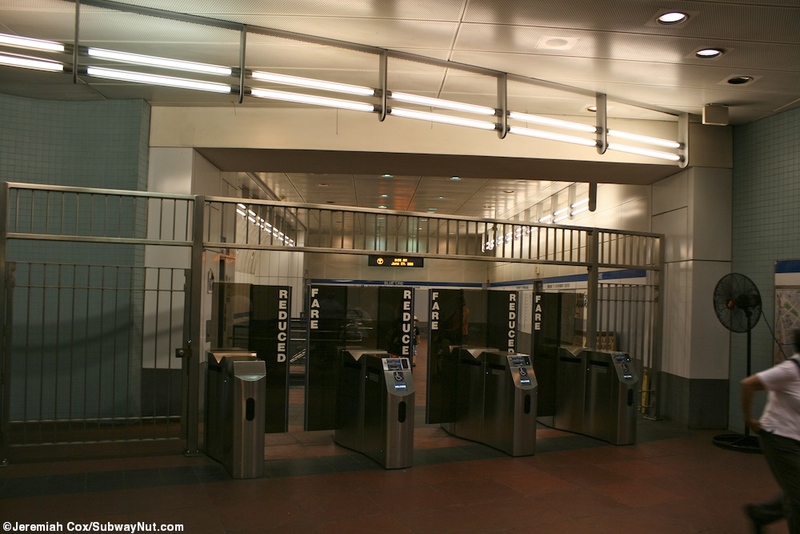 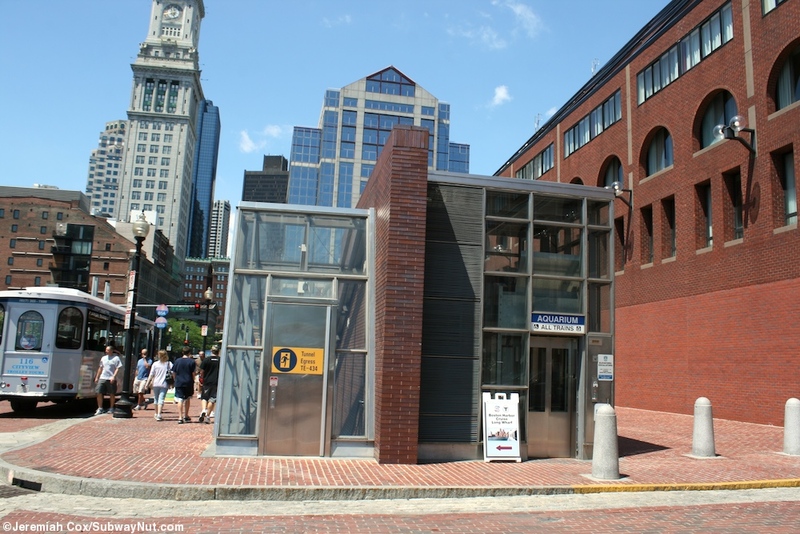 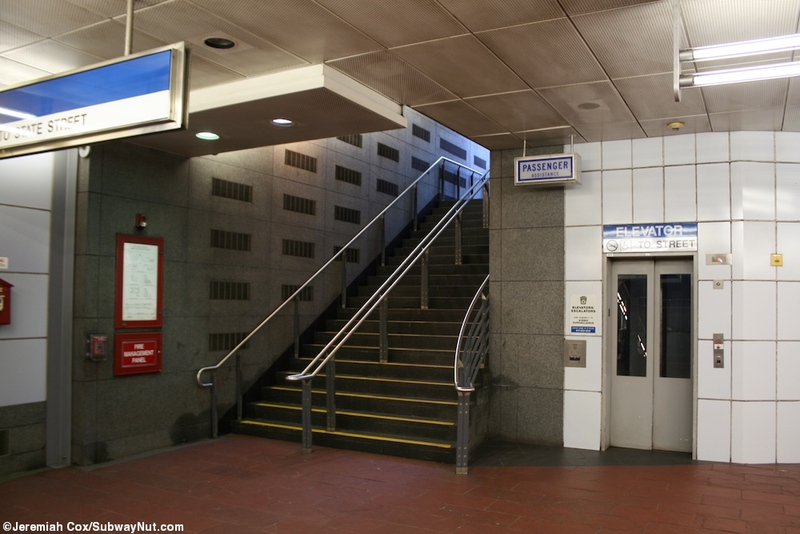 At the other end of the station platform elevators and stairs lead up an intermediate mezzanine where the faregates are and two exits on either side of State Street, at Commercial Street. 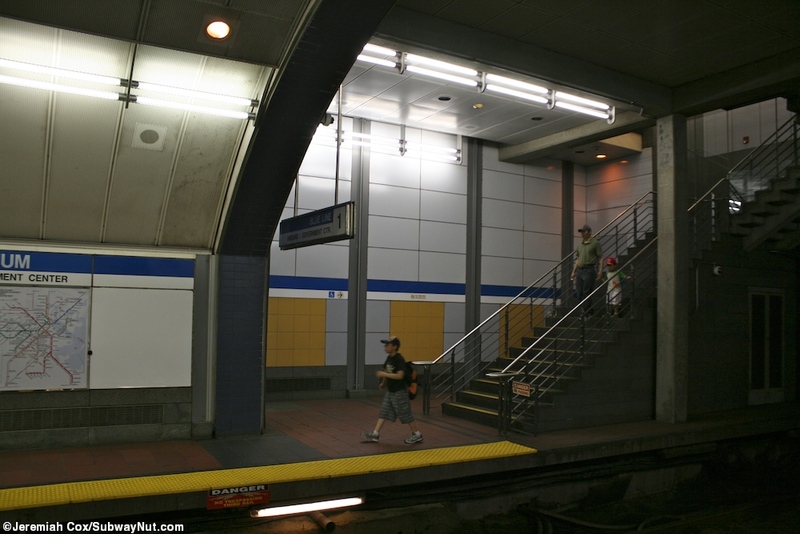 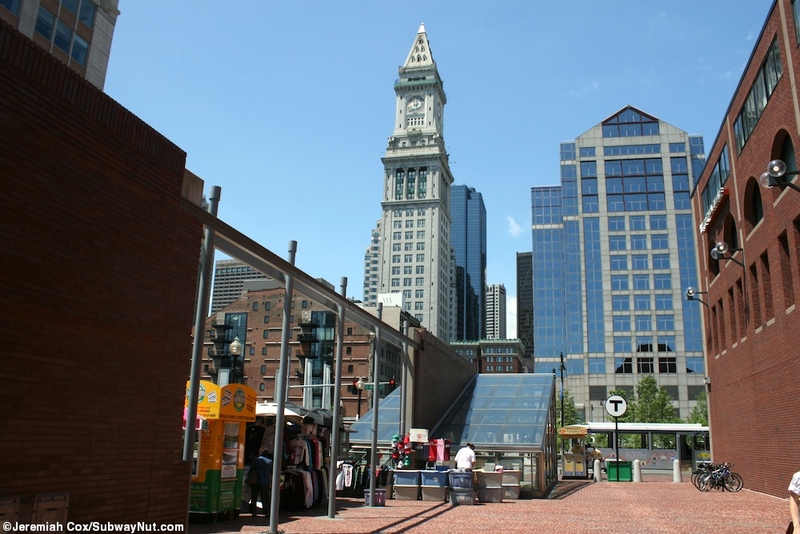 The NE corner is within existing buildings and an up escalator. 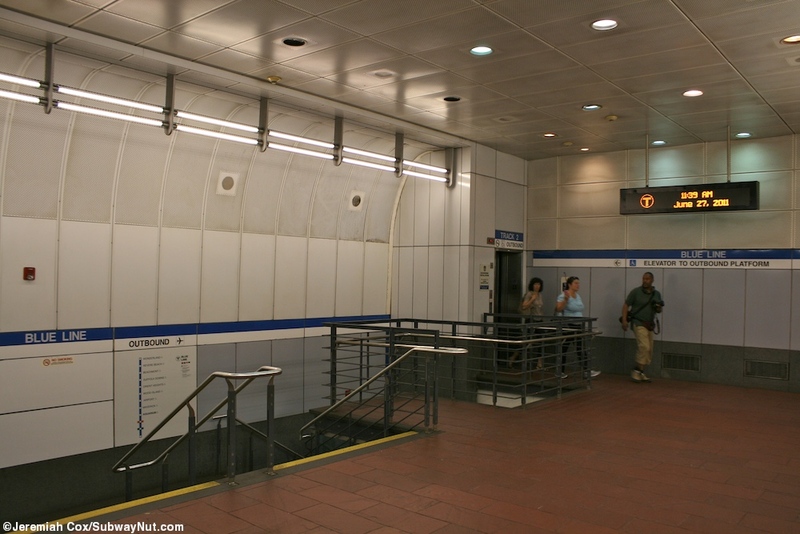 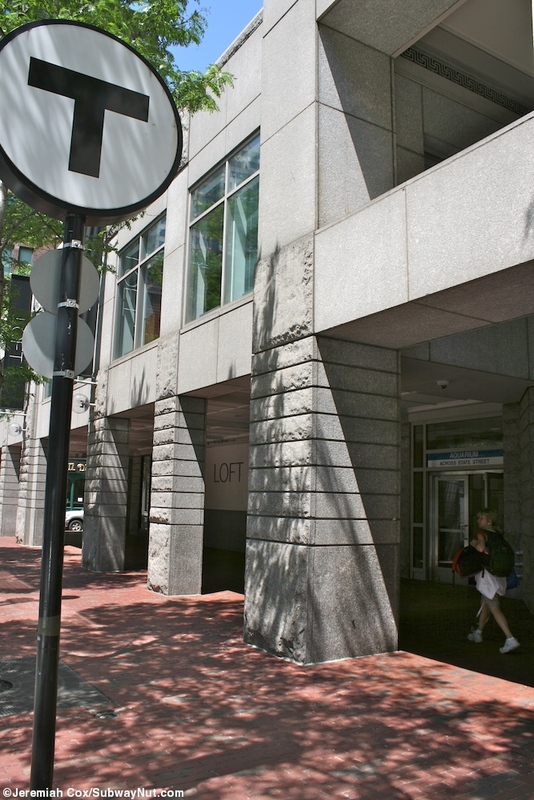 The NW corner is a staircase (within an enclosure) with a separate enclosure for the elevator right on the sidewalk.